Sometimes, i have no words. As most of you may Know, something happened in Paris yesterday and That something shocked me. I am not going to get in any details or religious debate, because frankly that is not what the world needs right now. That freedom of the press, or freedom of expression (because I do not consider myself as such thing as a press website) is the reason why I started this website in 2012. I haven’t blogged much, because I appreciate my privacy. But I do enjoy bringing you some photos and lighter content to entertain. I wish I was funny in English but as my second language I don’t always feel like I know every idioms or funny sentences though I speak this language everyday with my half. I am not here to make up excuses as to why I didn’t post yesterday, because I don’t think my post as highly expected and frankly, if one day I don’t feel inspired, I don’t want to feel pressured and take the fun out of blogging. These events yesterday really shocked me and I hope to soon find a more light hearted subject to post about because I really enjoy blogging. 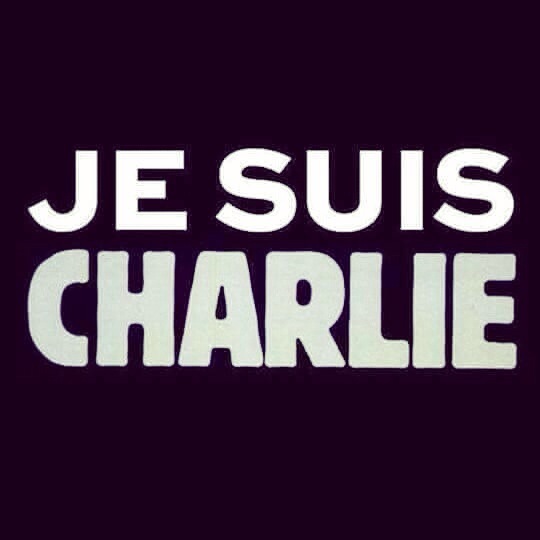 My best wishes go to the family of the victims of Charlie Hebdo.